So we asked some experienced travellers to not only come up with the best road trips in the world, but to also let us in on why it should be added to your travel bucket list. This series of posts will show you some of the most famous road trip locations around the world, the ones you will most likely already have seen or heard about, but some other suggestions are sure to surprise. They sure surprised us. Now let’s finish packing the car (or Campervan) and get this show on the road. We begin with what must surely rate as high on tthe list of the world’s best road trips, and having experienced this ourselves, it has every reason to rate so highly. South Island, New Zealand with Thais from World Trip Diaries. The South Island of New Zealand is the perfect place for a road trip: it’s safe, the roads are (almost all of them) in great condition, and it’s incredibly beautiful. It usually starts in Picton, where the ferry from the North Island arrives. Right there, you’ll probably take the stunning Queen Charlotte Drive. Even if you aren’t, you should. From Picton, drive to Golden Bay. Then Kaikoura with its adorable fur seals and on to Christchurch (with a stop around Mount Cook and Lake Tekapo – stunning! It’s worth the extra drive!). Then, on the way to Dunedin, stop at Moeraki Boulders – a beach with huge round rocks. Invercargill is next, with a stop in Bluff, the Southernmost point of the South Island. Then you can choose a city in the Southern Lakes region, they’re all stunning. I personally recommend Wanaka or Arrowtown, but Queenstown and Kingston are beautiful too. Don’t forget to pay a visit to Milford Sounds on the way there, though! Glacier Country is next: Franz Josef is a bigger town than Fox, but either is great and close enough for a visit. Hokitika has beautiful beaches with incredible rock formations, and from there, a stop in sunny Marlborough to end the trip. While there, visit a winery and enjoy a sunny and (relatively) warm day even during summer. The South Island has so many amazing road trip itineraries the hardest decision is which places you have to leave out. Queenstown – the home of bungie and considered the adrenaline capital of the world. Milford Sound – stunning natural beauty and a place of serenity. Fox / Franz Josef Glaciers – a helihike to walk on the glacier is an incredible adventure. Southern Namibia with Campbell and Alya from Stingy Nomads. Southern Namibia the land of sand and sun where rainfalls are very rare guests and every day is sunny. This road trip starts at Fish River canyon, the second largest canyon in the world, and finishes 1400km later in Swakopmund, a beautiful German town on the shore of Atlantic Ocean. For this trip you need rather a Jeep or 4×4 as most of the route is on gravel roads. Driving a sedan is possible, but you’ll have a very bumpy ride. Be ready for long days of driving as distances between places in this part of the world are big and often there is nothing around for hundreds of kilometres. It’s important to keep an eye on your fuel tank and better to have a Jerry can with you because you don’t want to be stuck in the middle of nowhere for hours in 40C heat without petrol. Though it may sound a bit rough this is definitely one of the best road trips anywhere. The landscape gives you a feeling of being on a different planet. Camping is a budget way to travel Namibia and a great chance to sleep under the darkest sky and the brightest starts you can find anywhere in the world. Northern Territory, Australia with Melissa from Thrifty Family Travels. Over this 1600 kilometres (1000 miles) you will visit some of the most beautiful, as well as some of the harshest, landscapes in the Australian Outback. Along the way you will met some of Australia’s friendliest people in as you fill up in road houses located in towns with some of Australia’s smallest populations. You will also be fascinated by the culture of the Aboriginal people. Leave Darwin for Litchfield National Park. The park is home to gorgeous waterfalls and natural swimming pools like Wangi Falls and Florence Falls as well as the 4 metre Cathedral Termite Mound. On day 2 as you make your way to Katherine, stop at the area by the Adelaide River and join a cruise to see crocodiles in the wild. Spend a full day in Katherine to enjoy the spectacular Katherine Gorge. Joining a Katherine Gorge cruise is a must do! Other activities in the area include bush walks, swimming and kayaking. Leave Katherine for Mataranka. Here you can relax in the beautiful hot springs of either Mataranka or Bitter Springs. The following day is a long one as you make your way to Tennant Creek. Stop at the famous and quirky Daly Waters Pub for lunch. Day 6 sees you reach Alice Springs. Along the way, make sure you stop at Devil Marbles. On your final day enjoy the sights of Alice Springs. From here consider extending your 7 day road trip to visit iconic Uluru or you can do a massive day trip from Alice Springs. Tibet with Talek from Travels with Talek. We began our journey in Xining in central China. The road to Lhasa on the central China route is isolated and you can travel for miles without seeing a soul. Mostly we drove through deserts and windy plains. In several locations construction crews seemed to be still building the road even as we approached. This would have made a great commercial for the Toyota Land Cruiser. Occasionally the local police would stop us and check our documents. As we got closer to Tibet the inspections became more frequent and thorough. At Qinghai lake we camped by the lake in tents. We killed and roasted a sheep for dinner. The mayor of the nearby town came over to our camp. I thought maybe we had violated some town ordinance like “no butchering sheep within city limits” but he just wanted to welcome us. We shared our sheep dinner and baidu (Chinese liquor) with him. I don’t think I have ever seen such a dark night or such a beautiful starlit sky as I did that night by the lake. The tents were all identical. People would leave their tents in the middle of the night to relieve themselves then come back and enter the wrong tent so all night we kept hearing annoyed sleepers complaining. Throughout the trip our guide kept warning us that soon we would arrive at the highest point on the trip and confirming we had our altitude medication. Fortunately, we did. Although we did feel the effects of the high altitude, at least we didn’t end up prostrate across the car seats gasping for breath while someone administered oxygen, as some of our companions did. The high point of the trip, literally, was 5,231 meters high, or 17,628 feet. To put this in perspective, Mount Everest is 29,029 feet high. This is the highest I’ve ever been without an aircraft. At this point it was hard to breath and we had to walk very slowly because any exertion would exhaust us immediately. It was also incredibly cold. We kept throwing on layers and layers of whatever clothing we found. Still, there was a little feeling of triumph at having made it this far in reasonably good shape. On the last morning we drove into the city of Lhasa, the capital of Tibet. We made it! Camp out under the starlit Tibetan sky. Prepare for and experience the high altitude. Share a meal with the local Tibetan folk. Argentina with Claudia from My Adventures Across the World. Argentina is a country of huge distances so road trips there are hardly recommended, unless one is willing to drive for hours on end without meeting a soul, or properly equipped for any emergency. One of the few places in Argentina that are suitable for road trips is the Andes in the north west, through the beautiful Quebrada de Humahuaca. Indeed, renting a car here allows visitors to slowly visit all the interesting villages and stop wherever they want to admire the unique, breathtaking landscape. Salta is an excellent starting point. The city itself has a few interesting attractions. One of them is the MAAM (Museo de Arquelogia de Alta Montana), which offers insights into the inca culture (including that of sacrificing children). Other places to visit in town are the pink Cathedral and the Iglesia de San Francisco. Leaving Salta, head north towards Jujuy and then continue driving towards the Quebrada de Humahuaca. The first stop here will be Purmamarca, a tiny village of no more than 600 people, at around 2200 meters above sea level. Purmamarca is set against the beautiful Cerro de los Siete Colores, a colorful mountain. The village itself is completely red thanks to the adobe used for its buildings. There’s a lovely market that is nice to browse. At 2450 meters above sea level, Tilcara is a picturesque village where it is nice to stop for a day or two. It is pleasant to walk its streets and get infused in the local atmosphere, but there also is an archaeological site to explore, the Pucarà. In February, there’s a fun carnival which sees several music bands walking around the village to gather people with their incessant music. It becomes a huge, fun street party. On the way to Humahuaca, make a quick stop at Maimarà, a village entirely built in adobe, set against the beautiful Paleta del Pintor (the painter’s palette) mountain, then cross the Capricorn Tropic line. Humahuaca is at almost 3000 meters above sea level. The village, larger than the rest in the Quebrada, has a beautiful church and a lovely, busy local market. Before heading back to Salta to conclude the road trip, make sure to push along towards the Salinas Grandes, a salt lake where the bright white color makes the perspective in pictures completely skewed. East Central Europe with Allan from Live Less Ordinary. Our East Central road trip took place in winter, but these parts of the world are fascinating at all times of the year, and while the main focus was the mountains, pokey European villages, and scenery throughout, we also stayed in some of the more majestic cities as markers along the way. The road trip starts out from Krakow in Poland, to create a loop around, although any destination on this list could be the start and end point. Throughout we also take detours, although the main route follows south through the Tatra mountains into Slovakia, en route to the borders of Hungary and its capital Budapest. This would be our first major city stop, before following past the stretches of Lake Balaton to the borders of Slovenia, where Lake Bled is definitely the highlight (although the Alps begin here and the mountain landscapes are equally as fascinating throughout). Next we cross the Austrian borders as we continue to our next port point in Salzburg, although Hallstatt is very much a stop to see along the way. From Salzburg we then cross to the Czech Republic and to Cesky Krumlov which is the most dreamlike destination in the winter to visit. We then followed another stretch back to Krakow. So this would be the basic route, covering the iconic destinations of east-central Europe, and it can be covered in 7 days. However we stretched it over 18 days travelling in all directions, and covered 9 countries and countless fascinating scenery. There are many great places in Europe but we feel this is one of the best road trips you can drive. Wales with David from Delve into Wales. The A470 road trip through Wales is special because it runs from one end of the country to the other, south coast to north coast, from the capital, Cardiff , to the seaside resort of Llandudno. It runs through some of the most spectacular scenery in Wales, and is also a great introduction to the country, passing through two of its three National Parks. You could drive the A470 end to end in around four and a half hours, but this is a drive best savoured over a few days, with a few stops each day. It starts outside the Wales Millennium Centre in Cardiff Bay, before passing Cardiff Castle and making its way through the suburbs, passing the fairytale Castell Coch before the run through the South Wales Valleys, once the country’s industrial heartland. After passing below Pen y Fan and the Brecon Beacons, you drive through rural Mid Wales, starting with the remote upper Wye valley which continues past the tiny market town of Rhayader. The mountains are suddenly taller and steeper around Dinas Mawddwy, as you begin the climb up Bwlch yr Oerddrws, where you enter the Snowdonia National Park. The mountains are especially imposing around Blaenau Ffestiniog, and you pass beneath the keep of Dolwyddelan before passing the tourist hub of Betws-y-Coed. From here it’s a gentler run up the green hills of the Conwy valley, with a glimpse of Conwy Castle before the final run inland to Llandudno, where this epic journey ends at a humble seaside roundabout. The run through the Brecon Beacons, especially from Storey Arms down to Brecon. The climb up Bwlch yr Oerddrws, ‘the Pass of the Cold Door’, revealing Cadair Idris at the top. The drive through the dramatic slate mining town of Blaenau Ffestiniog and the climb out of it up the Crimea Pass, revealing Moel Siabod and the Lledr valley below. Taiwan with Anne and Clemens from Travellers Archive. Taiwan might not be the usual road trip destination, but this makes it one of the best road trips to experience. We started our road trip in Taiwan’s capital Taipei and then made our way around the country anti-clockwise. It took us nine days to circle the entire country and to end up in Taipei again. Taiwan is a true highlight when it comes to road trips. Not only are the signs super easy to understand, but also is the network of streets organised in a way, that also tourists can get it right away. Thanks to the speed limit of 110 km/h, you also do not need to be scared of speeding cars as there are none. Our first trip was from Taipei to the popular Sun Moon Lake, which had a distance of 260km and was totally worth it. Sun Moon Lake is absolutely stunning. The lake is surrounded by temples and pagodas, a gondola takes you over the lake and cute little boats offer the perfect cruising experience. From here we went 162km down South and ended up in Tainan. After Tainan, we went to Kaohsiung, a big city that is home to many great night markets. Whether it’s octopus, sweet pancakes or tofu – Kaohsiung is true foodie paradise. Taiwan’s eastcoast is home to stunning landscape highlights, such as the Kenting Nationalpark. From Kenting we went to Hualien, Taroko and Jiaxo. Especially Taroko should not be missed on a road trip through Taiwan as this is where the famous Taroko Gorge is located. After nine days, we ended up back in Taipei. Flores Island, Indonesia with Daniele and Elena from Cycloscope. Not many know though, that there’s much more to see in Flores. On this relatively small island, there are 17 volcanoes, 6 different language, cultures and costumes still tied to the old traditions, and last but not least, stunning beaches. Taking a road trip from Labuan Bajo to Maumere (or the other way around), will bring you up above 1,000msl and back to the seashore for 4 times in about 500km, the views are constantly jaw-dropping, and the local culture is unique, traditional villages are scattered everywhere around. We did this route by bicycle, it was exhausting but so rewarding that we still dream of those landscapes. If you want to try yourself check our beginner’s guide to bike touring. If instead, you prefer a motorized means of transport, you can rent a motorbike or a car both in Labuan Bajo and Maumere. The Big Island, Hawaii with Noel from Travel Photo Discovery. The Big Island of Hawaii is really big (as you might expect from the name) and one of the best ways to see it is to do a road trip all around the island. The perimeter highway road is definitely slow so you have to allocated the whole day to drive around the island or break it up by staying somewhere worth visiting like Volcanoes National Park or the funky and cool Hilo town. A drive typically starting in Kona town will take you through the coffee plantations in the southern areas, black lava rock deserts, to the cool coastal drive through black and green sand beaches and then the fascinating historic Volcanoes National Park. Its worth a stay in the area to enjoy exploring the whole park, but if time is short then drive down to Hilo town with its old town vibe, farmers market and funky waterfront area. There are beautiful waterfalls in town to visit or further down to the one lane roads and rugged coastline of the Onomea historic trail and beautiful Akaka falls. There’s definitely a lot to see driving around the whole island to see all the highlights and scenic beauty of the island. Watch the sunset from high up on Mauna Kea volcano. Take a scenic helicopter flight and see the oceanside waterfalls. Snorkel with the giant Manta Rays at Sheraton Kona. Want more great options for amazing road trips of the world? Part 2 is now available. 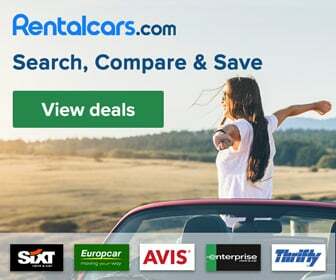 Previous articleIs it safe to rent a car in Mexico?